Profiles of some of our outstanding team of PACES lecturers. Dr. Rupa Bessant has extensive experience in Medical Education and has been an MRCP Clinical Course Director for over 15 years. Dr Bessant qualified from the University of Manchester Medical School. She trained in Rheumatology at University College London Hospitals, the Hammersmith Hospital and the Royal National Orthopaedic Hospital before taking up a Consultant post at Guys & St Thomas’ Hospitals. She left this post to devote her time to her passion for Medical Education. 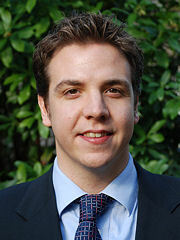 Dr Bessant was awarded an MSc in Rheumatology with Distinction from the University of London. Her clinical research interests include Systemic Lupus Erythematosus and Ankylosing Spondylitis and she has authored a number of scientific papers in these fields. Dr Bessant has demonstrated an enduring commitment to both postgraduate and undergraduate medical education over a number of years. 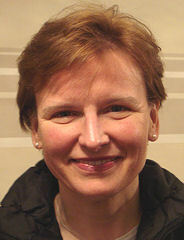 In 1997 she designed an MRCP Part II clinical course for ‘PasTest’ and became their Course Director, a position she held until 2008. During this time Dr Bessant adapted the course to accommodate the requirements of the new PACES examination. Dr. Bessant was also involved in restructuring the University College London Hospitals PACES course and held the post of Course Director from 2002 to 2004. More recently, she was the Course Director for the Guy's and St. Thomas' Hospitals NHS Foundation Trust PACES course until 2010. She has utilised the experience gained from directing these courses to ensure that the PassPACES courses provide the best possible preparation for candidates sitting the PACES examination. Dr. Bessant is the Editor of the Pocketbook for PACES, published by the Oxford University Press. She and the chapter authors have combined their extensive clinical knowledge and practical teaching experience to create a book that aims to provide prospective candidates with a comprehensive, yet concise and convenient guide to the PACES examination. Specialty Registrar in Neurology, Eastern Deanery. Dr. Adam trained in Neurology at Queen Square, Addenbrooke's and New York University Medical Center. Prior to this he gained broad general medical experience in a number of specialities. He is currently completing his PhD thesis in the Institute of Neurology at UCL. Thoughout his medical career, Dr. Adam has enjoyed teaching and has received positive feedback from observers and students. He has taught on PACES courses since 2007 and also teaches medical students in their penultimate and final years at Cambridge University. He is also a regular course lecturer on the London International Youth Science Forum. Dr Amaral studied Medicine at the Heinrich Heine University in Düsseldorf. Following SHO training in Anaesthetics and (General Internal) Medicine, he is now working as a Specialty Registrar in Cardiology on the North West Thames rotation. Currently, he has interrupted his clinical training to undertake research in the field of intravenous iron therapy in heart disease at University College London. He has a strong commitment to teaching and training. He continues to be involved in MRCP PACES teaching, as well as other courses like IMPACT® and CCrISP®. Mr Anderson graduated from Edinburgh Medical School with a First Class Honours Intercalated BSc in Pharmacology. He trained in General Medicine at Addenbrooke's Hospital in Cambridge, passing his MRCP exam in 2001. Following this he specialised in Ophthalmology and was a Specialist Registrar on the North Thames/Moorfields rotation. He has a specialist interest in retinal diseases and has been awarded a PhD from University College London for his research into Age Related Macular Degeneration and Ocular Drug Delivery. Mr Anderson has lectured regularly for PassPACES since 2009. 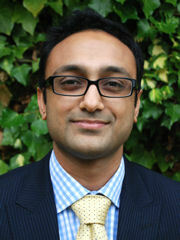 Dr Satpal Arri is a specialist registrar in Cardiology on the South Thames programme. He has been awarded a BHF fellowship to undertake a period of research towards attaining a PhD at the Rayne Institute, St Thomas’ Hospital, Kings College London. His research interests include coronary physiology and cardiac MRI perfusion. He graduated from Guy’s, King’s and St Thomas’ School of Medicine with an Honours BSc in Neuroscience and MBBS with clinical distinction. Thereafter he attained his MRCP with the help of PassPACES in 2009. Dr Arri has been committed to medical education both at the undergraduate and postgraduate level throughout his career and was awarded the William Harvey Teacher of the Year award in 2011. He has been involved in teaching PACES candidates at various trusts within the London deanery. He has found this incredibly rewarding as he is helping in the development of others whilst allowing him to concrete his own knowledge and understanding. Outside of medicine he is a senior blackbelt instructor in the art of Shaolin Nam Pai Chuan Kung Fu and teaches practical skills to junior members on a weekly basis. Dr Ballav graduated with distinction from the University of Calcutta. He has trained in medicine at Cambridge, London, Leeds and Oxford. He is currently pursuing DPhil in clinical medicine at Oxford University. Dr Ballav has received numerous awards, including the rising star award and a prestigious UK research foundation fellowship. His research interests include modulation of human pancreatic islet function and the effect of beta cell replacement therapy on hypoglycaemia unawareness. Dr Ballav is a visiting lecturer at the University of Leicester. He has been training PACES candidates at the Leeds and Oxford University hospitals and finds teaching at PassPACES an enriching experience. 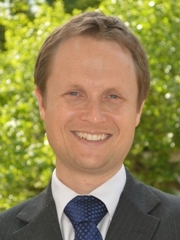 Dr Bertfield has been a Consultant in General Medicine and Geriatrics at Barnet Hospital since 2013. She qualified from UCL medical school in 2002, having obtained an intercalated pharmacology BSc. After SHO jobs in Manchester and London she gained a geriatrics training number in 2007. She achieved a distinction in her MSc in geriatric medicine. She is committed to PACES teaching and has been involved in the organisation of the PACES exam at local Trusts. Mr. Bessant graduated with First Class Honours from the University of St. Andrews before transferring to Manchester Medical School, where his MBChB was also awarded with Honours. He won the Brian Harcourt Medal for the highest mark in the Fellowship of the Royal College of Ophthalmologists (FRCOphth) 1992-3 examinations. He undertook a Medical Research Council Fellowship, studying inherited eye disorders, from 1995-1998, discovered a novel gene for retinitis pigmentosa (published in Nature Genetics) and was subsequently awarded an M.D. from the University of London. He specialises in Medical Retinal disorders (including Diabetic Retinopathy and Macular Degeneration) and inherited disorders such as Retinitis pigmentosa. He has published over 30 scientific papers, review articles and book chapters. Mr. Bessant has been a committed MRCP Clinical lecturer for over 10 years. Academic Clinical Fellow in Cardiology, North Central Thames rotation. Dr Bhuva qualified from St John's College, Cambridge and University College London. He graduated with a first class degree from Cambridge University in all three preclinical years, with a BA in Part II Italian. He was awarded over a dozen prizes including the University of London Gold Medal, awarded to the top medical student from all London Universities. He is currently an academic cardiology registrar and has a research interest in cardiac MRI. He enjoys teaching both at an undergraduate and postgraduate level and sees it as a rewarding way to refresh and expand his own knowledge. He teaches PACES candidates regularly and is a Core Medical Training Lead at University College London Hospital. 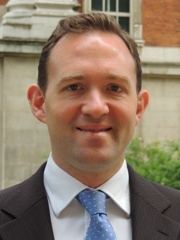 Dr Jonathan Birns is an Honorary Senior Lecturer at King's College London, Training Programme Director for Geriatrics in South East London and Deputy Head of the London School of Medicine. He has developed award-winning, innovative, multi-modal, postgraduate educational courses, presenting the results at national and international conferences and in peer-reviewed journals. He has completed formal training in the provision of clinical education. Dr Birns’ high-quality teaching in a number of arenas has been evidenced by excellent feedback and his training programmes being awarded regional and national honours. He has also undertaken research, with the award of a PhD, and published widely in the field of cerebrovascular disease. Dr Blackmore completed her pre-clinical training at Fitzwilliam College, Cambridge, where she graduated with Double First Class Honours, winning numerous prizes and captaining the college women's boat club along the way. She then moved to Jesus College, Oxford and won further prizes before graduating in Medicine in 2005. She worked in Oxford before moving to King's College Hospital in 2007 for SHO training and commenced Gastroenterology Specialist Registrar training on the South-East London rotation in 2009. Dr Blackmore was awarded a Wellcome Trust Research Training Fellowship in 2013 and is currently researching the pathogenic role of T cells and autoimmunity in severe alcohol-related liver disease at the Institute of Liver Studies and Transplantation at King's College Hospital. She is passionate about medical education, and actively participates in teaching at an undergraduate and postgraduate level. She has been teaching PACES candidates since 2008 with successful results and looks forward to helping the next generation of students on the PassPACES course. Senior Respiratory Research Fellow, Lungs for Living Research Centre, University College London. 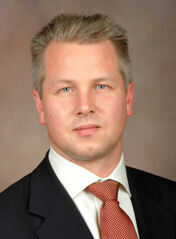 Dr. Brown qualified from St Bartholomew's and The Royal London School of Medicine in 2000. 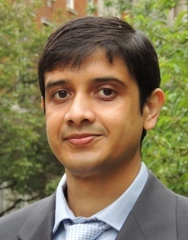 He is currently undertaking a PhD at UCL developing novel technologies to detect individuals at high risk of developing lung cancer and investigating the biology of pre-invasive airway disease.He has a subspecialist interest in interventional bronchoscopy. He has recently run-swam-cycled his way from London to Paris to raise funds to set up the Lungs for Living Charity with his PhD supervisor Dr. Sam Janes with the aim of building a dedicated lung cancer research centre at UCL/ UCLH. Dr Brown is a co-founder of ‘EBUSlive’, a course teaching endobronchial ultrasound techniques to chest physicians. He is regularly involved in clinical teaching at UCLH. 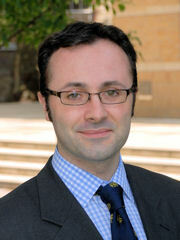 Dr Captur graduated in Medicine from the University of Malta in 2004. She was awarded the Texas Heart Institute Award for undergraduate writing in Cardiovascular Medicine. She completed a postgraduate Masters degree in Cardiology with distinction at the University of Brighton and Sussex in 2010. She is currently pursing a PhD through UCL, looking into the application of mathematical fractal algorithms to cardiac imaging analysis, particularly cardiovascular magnetic resonance imaging. Her project is based at The Heart Hospital Imaging Centre and at the National Institute of Medical Research. She was awarded a fellowship for conducting additional work within the National Institutes of Health in Bethesda, US in 2013. She has a keen interest in teaching which spans multiple clinical specialities including cardiology. She regularly participates in teaching medical graduates on the wards and has been a PACES lecturer since 2007. Dr Christopherson graduated in medicine with an intercalated BSc in Neuroscience from University College London. She passed the MRCP exam whilst working as a junior doctor and gaining experience in key medical specialties on the Addenbrooke's medical rotation as well as respiratory and intensive care medicine in London. She went on to pass the FRCA primary exam and gain further experience in anaesthesia on the Imperial anaesthetics rotation before being appointed a training number on the North West Thames Respiratory medicine rotation in London. During this time she completed an MSc in respiratory medicine with Imperial College London and has enjoyed helping colleagues also preparing for medical exams. Dr Christopherson is completing the Royal College of Physicians medical educator accreditation and has been appointed to a research Clinical Fellowship at the Respiratory Support and Sleep Centre at Papworth hospital. Dr Clarke qualified from Guy's, King's and St Thomas' Hospitals. 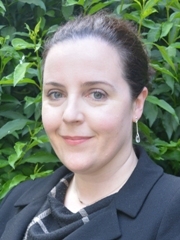 Dr Clarke now practices as an Endocrinology and Diabetes registrar in South London. She has built up experience teaching at both an undergraduate and postgraduate level. Dr Clarke is committed to providing excellent teaching and regularly helps candidates prepare for the PACES exam. She very much enjoys the opportunity that the PassPACES course provides to do this. Dr Coakley has been a Consultant Rheumatologist at Queen Elizabeth Hospital in London since 2000, and is dually accredited in general internal medicine. His PhD was in molecular immunogenetics relating to rheumatoid arthritis and Felty's syndrome. More recently he has developed research interests in septic arthritis. He has been involved in medical education for many years, and has been Director of Medical Education at his Trust since 2003, and Programme Director for South Thames Rheumatology Specialty Training Committee since 2006. 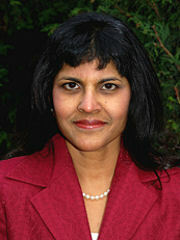 With Rupa Bessant, he published a paper on predictors of outcome in the PACES exam in 2006 (see above). Dr Coakley has been Director of Medical Education at South London Healthcare Trust, responsible for 440 trainees across three sites, since February 2010. He remains a firm believer in PACES as a valid and reliable means of assessing the key skills of a physician, and is enthusiastic in coaching candidates through the exam. 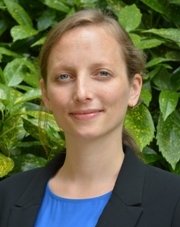 Dr Coltart is currently a Wellcome Trust Clinical Fellow at UCL studying transmission dynamics of epidemics. She is also an Infectious Diseases Registrar. Dr Coltart graduated from Imperial College having gained a first class honours degree in Human Genetics from UCL. She also has a MPH from Harvard University, a DTM&H from LSHTM, a Postgraduate certificate in medical education from RCP/UCL, and a certificate in Humanitarian Studies from Harvard, MIT and Tufts. Dr Coltart has a keen interest in addressing public health issues and has spent a couple of years working internationally, both clinically and in health policy, including medical relief work in post-earthquake Haiti, working for the WHO in Geneva and participating in the Chief Medical Officer's Clinical Advisors Scheme. She greatly enjoys teaching and has also taught on courses at Harvard and LSHTM (both the London and East African DTM&H where she runs a module of the course). Dr. David Connell is an MRC-funded clinical research training fellow in the Tuberculosis Research Unit at the National Heart and Lung Institute, and an Honorary Specialist Registrar in Respiratory and General Internal Medicine at St. Mary’s Hospital, London. 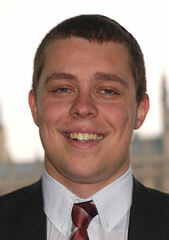 David gained a First class Honours degree in Physiology from the University of Cambridge before qualifying in Medicine from the University of Oxford in 2004. He has been a PassPACES lecturer for 3 years. Dr Crawley graduated from the University of Bristol in 2002, having previously gained a First Class Honours intercalated degree in Cellular and Molecular Pathology. She completed her Dermatology training in Belfast. She has been awarded multiple prizes and distinctions over her training, including the Jean Shanks Medal. Her subspeciality interest lies within Medical Dermatology. Dr Crawley spent a post-CCTperiod, in Inflammatory dermatoses, photodermatology and immunobullous disease, as a Senior Fellow, at St Johns institute of Dermatology, London. She has presented clinical work at both national and international levels and is currently co-writing guidelines for the British Association of Dermatology. Dr Crawley has a real passion for teaching. She is committed to teaching at both under and post graduate levels. She has been a PassPACES lecturer for 5 years. She has co-written the Dermatology chapter for Pocketbook for Paces, Oxford University Press. In addition, she has contributed to a new online revision aid for MRCP and in addition to clinical publications, she has also written numerous patient-centred materials, covering a wide variety of dermatoses. 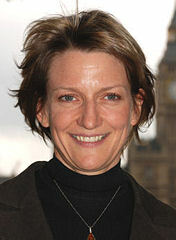 Dr Davis qualified from University College London in 2009 with a BSc in Psychology. She is currently an Academic Clinical Fellow in Neurology working as a specialist registrar at The Royal London and an academic trainee at Queen Mary University, undertaking research in multiple sclerosis. She has played an active role in teaching throughout her training establishing an OSCE training course for medical students at Royal London and Southend Hospitals. She is a tutor for the London Deanery practical skills course and is an examiner for Barts and The London Medical School. She was awarded the Judi Sharpe Excellence in Education award in her F2 year. She has contributed to textbooks in the diagnosis of multiple sclerosis and prescribing for medical students. Dr Devine graduated from the University of Oxford in 2007 before completing her general medical training in Oxford and London. She successfully passed PACES on the first attempt after attending the PassPACES course and is delighted to return as a lecturer. She has tutored medical students at Oxford and PACES candidates in London and has lectured on an MRCP Part 1 course. She is currently completing an M.A. in clinical education at the Institute of Education in London. Wellcome Clinical Research Fellow, Hammersmith Hospital. After graduating from University College Dublin with a BSc(Hons) degree in Chemistry, Dr Egan graduated in Medicine from the University of London / St George’s Hospital. During her subsequent training at Guy’s & St Thomas’ Hospitals she developed a keen interest in nephrology, critical care medicine & lupus. She is a Specialist Registrar in Renal medicine on the London South Thames rotation. 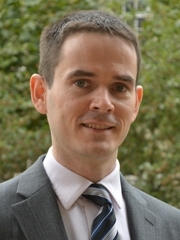 Currently Dr Egan is a Wellcome Clinical Research Fellow undertaking a PhD at the Hammersmith Hospital. Her field of interest is the genetic and immunological basis of lupus. She has a strong commitment to clinical teaching and has been preparing graduates for PACES since 2004. Dr Everitt qualified from the University of Newcastle Medical School before completing his general medical training in London and Bristol. He trained in Neurology at The National Hospital for Neurology and Neurosurgery, Guy’s and St Thomas’s Hospitals, King’s College Hospital and St Mary’s Hospital. He completed his PhD in The Structural Basis of the Epilepsies at the Institute of Neurology, University of London. 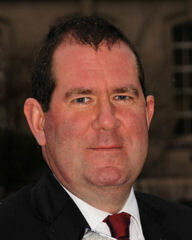 He was appointed a consultant at St Mary’s in 2003. His sub-speciality interests include epilepsy, CNS TB and HIV neurology. Dr Everitt was recently made a Fellow of the Royal College of Physicians. He has been actively involved in undergraduate and post-graduate teaching since being a research fellow and is a regular undergraduate OSCE and PACES examiner at Imperial College. Academic Clinical Fellow in Infectious Diseases, University College London Hospital. Dr. Fink graduated from University College London medical school with distinction. He was also awarded an intercalated BSc in physiology with first class honours from UCL, for which research he was given a national Health Foundation Research Fellowship Award. He is currently an Academic Clinical Fellow in Infectious Diseases, affiliated with University College London Hospital NHS Foundation Trust. 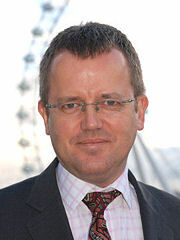 He has organised clinical teaching across the London Deanery and founded the Royal Free Hospital PACES Teaching Course. He has also taught in Uganda at Mbarara National Referral Hospital. Prior to clinical practice he played and recorded with the band Noah and the Whale. 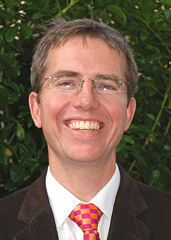 Dr. Fisher qualified in 1988, having studied medicine at St. Andrews in Scotland and at Manchester Universities. He moved to Cardiff in 1995 to undertake research on the role of nitric oxide in the vascular response to injury, culminating in the award of a PhD in 2001. He was then appointed as a consultant cardiologist with a interest in coronary intervention in 2002, where he has been since. Dr. Fisher was recently made a Fellow of the Royal College of Physicians and maintains an active interest in research in the field of vascular inflammatory response and the relevance of this to acute and chronic coronary disease. He is a committed MRCP Clinical Lecturer whose teaching is rated very highly by his juniors. Dr Ford graduated from Liverpool University Medical School in 2004 having previously gained a first class honours degree in Genetics from the University of Leeds in 1999. Her research interest is inflammatory bowel disease for which she has completed a number of research papers and most recently co-authored the BMJ clinical evidence update on Crohn’s disease. She has a keen interest in medical education and has been active in course organisation and bedside PACES teaching at the Royal Free, North Middlesex and most recently Queen’s Hospital Romford. She has also taught as an instructor on ALS and IMPACT acute medicine courses. 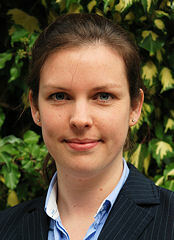 Dr Frise undertook her preclinical training at Emmanuel College, Cambridge, where she won numerous prizes and achieved First class honours in each successive year. Subsequently she went to Green College, Oxford for her clinical training. She has remained in Oxford as a junior doctor but in addition to her training in Acute and General Internal Medicine has also worked at Queen Charlotte's and Chelsea Hospital as a Specialist Registrar in Obstetric Medicine, the subspecialty she is pursuing in the future. She has always been keen to be involved in PACES teaching, running a PACES teaching programme for trainees at the John Radcliffe Hospital not long after passing the exam herself and more recently taking part in the teaching programme at the Hammersmith Hospital. She was also an RCP Associate Tutor and organising registrar for the PACES examinations held in Oxford in 2010. Dr Frise began his medical training at Emmanuel College, Cambridge, where he won prizes and achieved Firsts in all three years. He then moved to Oxford for his clinical studies and his training culminated in winning the George Pickering Prize for best overall performance in the final examinations in 2004. He has always been very involved in teaching, including medical students, local Foundation trainees and physicians in other specialties. He has been involved in PACES teaching in the Oxford Deanery for a number of years and recently set up a formal PACES teaching programme for trainees at Wexham Park Hospital. His teaching is consistently rated very highly. 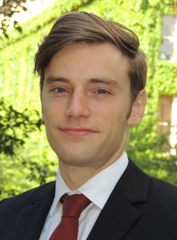 He is currently a Clinical Teaching Associate at Wadham College, Oxford and has previously taught for a number of other Oxford Colleges. Dr Gall is a Consultant cardiologist with particular interests in the invasive treatment of heart rhythm disorders and cardiac autonomics. He is based at King's College Hospital, part of King's Health Partners, and is also an Honorary Senior Lecturer for King's College London. His teaching experience includes acting as a medical student firm head and a clinical tutor in the University. He regularly teaches all grades of postgraduate physicians particularly on heart rhythm disorders and has also lectured nationally and internationally on similar subjects. He has written and reviewed educational modules for doctors.org and BMJlearning. Undergraduate Teaching Fellow at Moorfields Eye Hospital, London. 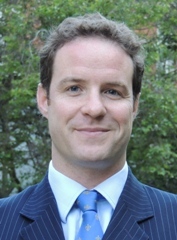 Dr Gallagher studied at St Anne’s College, Oxford during which time he gained a BA in physiological sciences, graduating in 2006. He commenced his ophthalmology training in the Wales deanery before moving to London and continuing his training on the North Thames rotation. He was awarded the Elizabeth Hunt medal for his performance in the Royal College of Ophthalmologists refraction examination in 2011. He has a strong commitment to undergraduate and postgraduate medical education and is currently an undergraduate teaching fellow at Moorfields Eye Hospital. 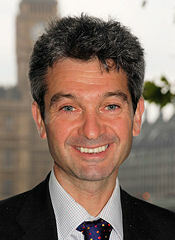 Dr Giles qualified from the Royal London Hospital in 1992. His scientific career began at University College London (UCL) in 2000 where he carried out an Arthritis Research Campaign (arc) Clinical Research (PhD) Fellowship examining the molecular properties that distinguish pathogenic from non-pathogenic antiphospholipid antibodies (aPL). He was awarded an arc Clinical Scientist Fellowship in 2004. 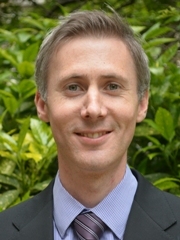 Since 2007 he has held a HEFCE clinical senior lectureship at UCL and continues to develop his scientific and clinical interests in the study of autoimmune rheumatic diseases, particularly Systemic Lupus Erythematosus and the Antiphospholipid syndrome as well as the management of these conditions during pregnancy. He remains committed to medical education and provides more than four hours of undergraduate as well as postgraduate teaching each week at UCL. He has regularly taught candidates for the MRCP since 1995. Refik studied medicine at Cambridge and UCL, and completed a PhD in transplantation immunology at King’s College London in 2010. Having completed his specialist training in Renal Medicine in the major London renal centres, he was appointed as a Consultant Nephrologist at Guy’s in 2014. He has a keen interest in clinical teaching, and has been teaching for the MRCP since 2005. In 2007 he was awarded a Top Teacher Award by UCL. Dr Hameed graduated from the Khyber Medical College Pakistan. 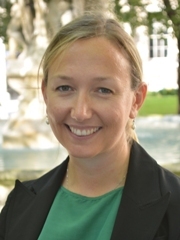 She has a vast experience in general medicine and completed specialist training in rheumatology from Guys and St Thomas’s, St Georges, Kings College and Kingston Hospitals in London (2008). In her role as a consultant at Homerton University Hospital, Dr Hameed oversees a number of junior doctors (FYs, CMT, SpR, GPs) in training. She actively participates in lecturing, tutoring and assessing medical students on regular basis. 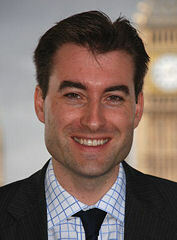 Dr. Harvey qualified from Charing Cross and Westminster Medical School and is a consultant at Hammersmith Hospital. He is a highly experienced MRCP Clinical teacher, having lectured regularly on MRCP Clinical courses for over 15 years. He has coauthored a self assessment imaging book for MRCP. After taking a Double First Class degree in Natural Sciences (Physiology) at Cambridge, Dr Holdsworth graduated from Oxford University Medical School, winning the University Gibb’s Prize for Medicine. He is currently working as a cardiology registrar in the Oxford deanery. 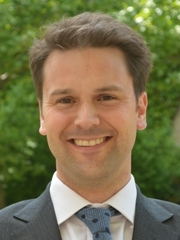 He has an interest in cardiac imaging and physiology and is undertaking a DPhil at Merton College, Oxford in cardiac MR imaging and metabolic manipulation of skeletal and cardiac muscle. He represents all UK cardiology trainees in his role as President of the British Junior Cardiology Association. Dr Holdsworth has a Diploma in Tropical Medicine and has served as a physician at the UK Field Hospital in Camp Bastion, Afghanistan. He is passionate about clinical training and teaches on a variety of courses. He has tutored in pre-clinical and clinical medicine at Oxford since 2003 and currently has a non-stipendiary lectureship as a clinical tutor in medicine. Dr Huggett has a major interest in pancreaticobiliary disease and performs advanced level endoscopy including EUS and ERCP. He is an accredited Hepatologist and his training involved experience at major centres in London including the Royal Free Hospital, King’s Liver Unit and St Mary’s Hospital; followed by a fellowship in advanced endoscopy at the Freeman Hospital in Newcastle. His ongoing research interests include gastrointestinal cancer, chronic pancreatitis, autoimmune pancreatitis and sphincter of Oddi dysfunction. He was awarded a PhD from University College London in 2014 following his work into DNA replication in pancreatic cancer. He sits on the British Society of Gastroenterology pancreatic section committee and is involved in training doctors in advanced endoscopy. He is actively involved in teaching both undergraduates and postgraduates and has been teaching on the PassPACES course since 2010. Senior Lecturer and Honorary Consultant Rheumatologist at University College London Hospital. 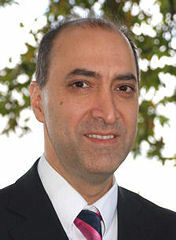 Dr Ioannou qualified at the Royal London Hospital in 1994 and undertook his specialist registrar training within the North Thames Deanery, during which time he also attained a PhD. His clinical and research specialist interests lie in the field of autoimmunity, notably lupus and the antiphospholipid syndrome and also in the emerging field of adolescent / young adult rheumatology. He has wealth of experience as a regular lecturer on clinical MRCP courses, having commenced lecturing shortly after attaining his MRCP in 1997. Dr. Kabir is a Consultant Cardiologist and has specialised in interventional cardiology, pacing and adult congenital heart disease at the Essex Cardiothoracic Centre. His has an interest in structural intervention. He is dually accredited in cardiology and general internal medicine. He was awarded a PhD in cardiology for his work on ischaemic preconditioning in 2006. He enjoys and has a strong commitment to clinical teaching. He has been teaching for MRCP since 1999. Dr Kaul qualified from Bart’s and The Royal London Hospital Medical School in 1997 having previously completed his Ph.D. at The London Hospital Medical College. He completed his SpR training in Rheumatology in the South Thames region, working at Guy’s and St. Thomas’ and St. George’s Hospitals. He was appointed as a Consultant in Rheumatology and Acute Medicine at The Royal Free Hospital in 2007. His special clinical interests are Connective Tissue Diseases and Psoriatic Arthritis. His research interest is cardiovascular risk and vascular biology in rheumatic diseases. Consultant Ophthalmic Surgeon, Altnaglevin Hospital, Londonderry. 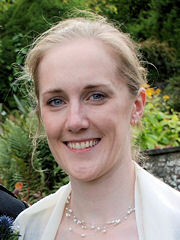 Miss Maeve Lagan graduated from King's College Cambridge with a distinction in Medicine and O&G. She was also awarded the Professor Kermode prize for O&G. After working in acute medicine, paediatrics and AE and sitting the PACES exam she entered the ophthalmology training programme. She was awarded the Harcourt medal for the highest mark in the FRCOphth exam. Her interest in teaching and lecturing both undergraduates and postgraduates led to a postgraduate diploma in medical education and a clinical teaching fellow post with UCL. She has participated in OSCE examination and development for undergraduate and postgraduates. 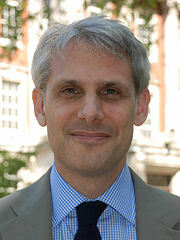 Dr Lane undertook his undergraduate training at Cambridge University and University College London. He graduated with distinction, and won the University of London Gold Medal, awarded to the top medical student from all London Universities. He completed his core medical training and a year as a Neurology Registrar in London teaching hospitals, prior to undertaking research at the Institute of Neurology. He has always been a keen teacher and has regularly participated in both undergraduate and postgraduate teaching at the Whittington Hospital and St Thomas’ Hospital, with favorable results. Having successfully put himself through his PACES with the help of PassPACES, he looks forward to continuing with the next generation of PACES students on this course. Dr. Lee graduated from Cambridge University and completed his clinical training at the Guy's, King's and St Thomas' School of Medicine. Thereafter, Dr Lee undertook a 'run-through' NIHR academic training pathway before commencing Respiratory registrar training within the London deanery. 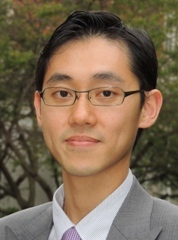 Dr Lee is now undertaking translational research examining resistance mechanisms in receptor tyrosine kinase signalling pathways in Non-Small Cell Lung Cancer at the NIHR Biomedical Research Centre based at Guy's Hospital, King's College London. He has presented data at several international conferences and has publications across a range of respiratory sub-specialties. Dr. Lee has a consistent teaching record at undergraduate and postgraduate level during placements within both Brighton & Sussex and Guy's, King's & St Thomas' medical school affiliated hospitals and has been been tutoring PACES candidates since 2008. Most recently Dr Lee has developed a unique iPhone app (theChestReg) as a training tool for junior doctors working in the field of respiratory medicine. He has in addition undertaken an out of program experience at the Hospital Britanico in Buenos Aires and subsequently in the remote region of Chiapas, Mexico providing medical care as part of a team of international volunteers. 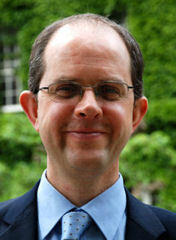 Having qualified from Oxford and St Mary’s in 1998, Dr Leschziner completed a medical rotation at Guy’s and St Thomas’. Following a year as a medical registrar, he undertook a PhD in epilepsy genetics and pharmacogenetics at Imperial College and the Wellcome Trust Sanger Institute, Cambridge. He trained in neurology at Imperial, Guy's and St Thomas' and the National Hospital for Neurology and Neurosurgery, with neuro-ophthalmology experience at both St Thomas’ and Moorfields hospitals. He is now a consultant neurologist at Guy's and St Thomas', with specialist clinics in sleep neurology and epilepsy and a nationally commissioned complex neurocutaneous service. He is heavily involved in teaching both undergraduates and graduates, with extensive experience in bed-side, lecture-, seminar-based teaching and as an examiner, at UCLH, Imperial, Guy’s, King’s, St Thomas’ medical schools. He has been teaching on MRCP courses for a number of years. Dr Mah graduated from the University of Cambridge in 2004 and subsequently moved to London for his further medical training. After obtaining his MRCP, he continued to pursue his interest in Neurology with a PhD in Cognitive Neuroscience at the Institute of Cognitive Neurology, Queen Square. He has been an associate clinical tutor at Addenbrooke's Hospital, as well a clinical supervisor for undergraduate medical students at St. Mary's Hospital, London. Specialist Registrar in Neurology, London Deanery. 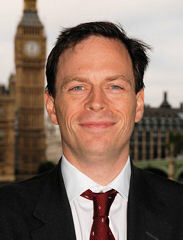 Dr Maresh qualified from University College London in 2006. She previously studied Natural Sciences at Cambridge University, carrying out research in Neuroscience, and obtaining a First Class Honours degree in Physiology. She completed her general medical training in London, prior to commencing Neurology registrar training in the North East London rotation in 2010. Dr Maresh has a specialist interest in Peripheral Nerve Disease. 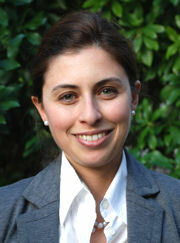 She finds teaching very rewarding and has been committed to medical education throughout her career. Since passing PACES herself in 2009, she has conducted regular bedside teaching for both medical students and PACES candidates, at the Royal London Hospital and on the PassPACES courses. 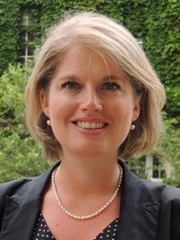 Dr Marshall studied medicine at Brasenose College Oxford and UCL. 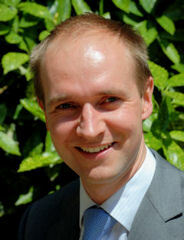 He is currently a specialist registrar in Neurology in the London Deanery. His area of interest is infectious diseases of the nervous system. 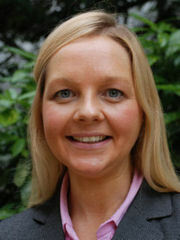 As well as teaching for PassPACES, Dr Marshall has been a PACES tutor at Imperial and Barts and the London. Dr. Mehta qualified from Guy’s King’s and St. Thomas’ School of Medicine in 2003. He obtained an intercalated BSc in Molecular Medicine in 2000. After gaining exceptional and varied clinical experience on the Barts and The London Medical SHO Rotation, he entered specialist training in Gastroenterology and General Medicine in 2007 on the North East Thames Rotation. 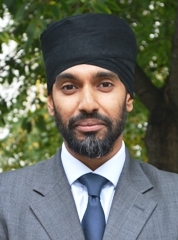 He completed a period of basic science research at the Blizard Institute examining the role of microRNAs in the development of intestinal fibrosis in Crohn’s disease and was subsequently appointed as a Gastroenterologist with a special interest in Nutrition and Intestinal Failure at University College London Hospitals NHS Foundation Trust. His commitment to teaching throughout his career has been unwavering. He has been a teaching fellow at Barts & The London School of Medicine and Dentistry for over 2 years, preparing and delivering comprehensive clinical teaching programmes for both undergraduate and postgraduate students. His interest in medical education has led to the award of formal postgraduate teaching qualifications, culminating in fellowship of the Higher Education Academy. He has prepared candidates for the PACES examination over a number of years, has regularly taught on a variety of formal courses and is an undergraduate OSCE examiner. His enthusiastic and inclusive approach to teaching has led to excellent structured feedback from candidates and students, and he hopes to continue to gain as much from them as they do from him. Dr Muthusamy commenced her undergraduate training at the International Medical University, Malaysia, from which she obtained an Advanced Diploma in Biomedical Sciences. She subsequently graduated from the University of Glasgow in 2007, having obtained a BSc Honours Degree in Molecular Pathology. 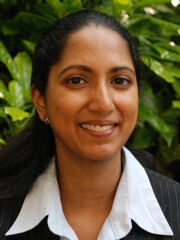 Since 2009 she has been a Specialist Registrar in Ophthalmology in the North Thames rotation. She has a strong commitment to teaching, having been actively involved in undergraduate and postgraduate teaching of ophthalmologists and physicians throughout her specialist training. Consultant Rheumatologist, University Hospital of Wales, Cardiff. Dr. Nash qualified from the University Hospital of Wales College of Medicine in 1990. He obtained a PhD in the immunology of SLE from Imperial College of Medicine and Technology, Royal Postgraduate Medical School Hammersmith Hospital. He trained in North Thames deanery and was dually accredited in Rheumatology and General medicine in 2002. He was a consultant at the Royal National Orthopaedic Hospital, Stanmore for 3 years before moving to his current post as a Consultant Rheumatologist at the University Hospital of Wales in Cardiff in 2006. As well as lecturing for PassPACES Julian has previously taught extensively on other MRCP courses, at both part I and part II level, for companies including 123Doc, Onexamination.com and Pastest, as well as on courses locally in Wales. He previously ran the CliniPass MRCP clinical course in London with two colleagues. Dr Nash has also edited a book for the basic sciences in MRCP part I. Consultant Rheumatologist, Whittington Hospital, London. 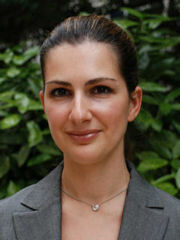 Dr Nikiphorou graduated from University College London (UCL) in 2004. She obtained a First Class Honours for her Intercalated BSc in Physiology in 2002, as well as a British Pharmacological Society Award and a Wellcome Trust Vacation Scholarship for her BSc Research on Mineralocorticoid Receptors. 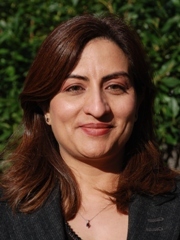 Having completed a diverse medical rotation as an SHO, including Cardiology at The Royal Brompton Hospital, Renal medicine at The Hammersmith and The Royal London Hospitals, Rheumatology, Endocrinology, Infectious diseases and Acute Medicine at Charing Cross Hospital, she has been well-equipped with the credentials necessary for delivering teaching for MRCP examinations. She has been actively involved in the teaching and organising of revision courses for Imperial College and University College London medical students, and participates as an examiner on the Final MBBS at Queen Mary’s School of Medicine. She delivers regular bedside PACES teaching to SHOs at various London and Eastern Deanery hospitals. Her enthusiasm and commitment to medical education has led her to undertake a Medical Education Training Program in association with the University of Dundee, and has successfully completed the Postgraduate Certificate in Medical Education. Dr Anna Nuttall qualified from Jesus College Oxford with an MA in Physiological Sciences (and a half blue in Ballroom Dancing); followed by an Honours MBBS from Imperial College London. She completed an MD (Res) thesis 'The Role of the Epidermis in Pathogenesis of Systemic Sclerosis' at UCL in 2010. She has several years of experience teaching PACES. 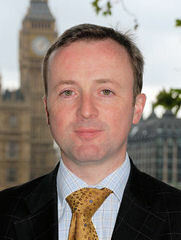 Mr O’Gallagher graduated from Queen’s University Belfast with honours in 2005. He has trained in ophthalmology in the Northern Ireland Deanery and has previously spent a year as a Teaching Fellow in Moorfields Eye Hospital in London. He passed the Fellowship examination of the Royal College of Ophthalmologists in 2012 and obtained a CCT in Ophthalmology in 2015. He has a keen interest in teaching, having completed a Masters in Clinical Education with distinction and he has been accorded Honorary Lecturer status at Queen’s University. He acted as Clinical Lead for Ophthalmology Education in the Belfast Health and Social Care Trust from 2010 to 2013. He is a trained OSCE examiner, having examined at three medical schools, and has written examination questions for undergraduate and postgraduate examinations. Dr Bill Oldfield had a miss-spent youth training initially in Pharmacology and subsequently in Human and Applied Physiology at King’s College whilst climbing whenever possible. He then trained in Medicine at St. George’s Hospital, London and was later appointed to the North-West Thames Rotation in Respiratory Medicine. During this time he completed a PhD at the National Heart and Lung Institute and trained in General Respiratory Medicine with sub-specialty interests in initially Allergy and subsequently Critical Care. He was appointed as Consultant in Respiratory Medicine in 2003 to St. Mary’s Hospital and Royal Brompton Hospital and currently works at Imperial College Healthcare NHS Trust as Consultant in Respiratory Medicine and Lead Clinician for High Dependency Medicine. He continues to teach; he is responsible for Foundation Years teaching in Respiratory Failure and Critical Care and also undertakes regular small group PACES Teaching. He personally failed Membership numerous times and, due to this experience, has, so far, prevented any of his tutees suffering the same fate with a near 100% pass rate from his candidates. Consultant in Critical Care and Nephrology at Guy’s & St Thomas’ Hospital, London. 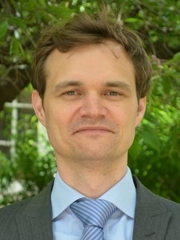 Dr Ostermann is very interested in teaching and holds a postgraduate degree in Medical Education. In her role as Royal College Tutor she teaches on a regular basis and also organises the Core Medical Training program at Guy’s & St Thomas’ Hospital. Dr Palazzo trained at Oxford University, obtaining a First Class degree. He completed Academic Foundation and Core Medical Training in London and Cambridge, gaining broad general medical experience and publishing extensively in respiratory and intensive care medicine. He is currently a National Medical Director’s Clinical Fellow, working with Monitor, and will return to Respiratory Registrar training after completing this fellowship. Throughout his training he has gained considerable teaching experience. Roles have included tutoring undergraduates at Oxford University and creating a clinical teaching programme for Imperial College students, for which he received a ‘Teaching Hero’ award. He particularly enjoys bedside clinical teaching, and is enthusiastic about coaching candidates for the PACES examination. Academic Registrar in Dermatology, St. John's Institute of Dermatology in London. Dr. Pink trained at Nottingham Medical School and graduated with a BMedSci(Hons) and BMBS. He continued his training at the Royal Surrey County Hospital, Guy's Hospital and St. Thomas' Hospital. 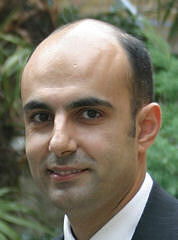 He is currently an Academic Registrar in Dermatology at the prestigious St. John's Institute of Dermatology in London. Dr. Pink intends to pursue an academic career in Dermatology and maintain his interest in research and teaching. After traversing the Irish Sea to study at Nottingham Medical School Dr. Pink developed an early interest in Neurology and elected to spend six months doing research in Neuro-anaesthesia. She presented this work at three national conferences, published in peer reviewed journals and was awarded a National Prize. She has completed a competitive, varied medical rotation, which provided her with a thorough grounding in general medicine, and equipped her with the knowledge and experience necessary to teach for the MRCP examinations. The highlights included Intensive Care at St Thomas' Hospital and Neurology/Stroke Medicine, which further fuelled her desire to pursue a career in Neurology. She is an enthusiastic educationalist and is actively involved in lecturing/examining at Guy's, King's and St Thomas' Medical School. She is an Associate Royal College of Physicians Tutor. Dr Pitceathly was awarded a BSc in Medical Sciences from the University of St. Andrews before competing his undergraduate training at Manchester Medical School. He recently returned to clinical neurology registrar training in the London Deanery having spent time working towards a PhD in Mitochondrial Disorders at the MRC Centre for Neuromuscular Diseases, UCL Institute of Neurology, Queen Square. 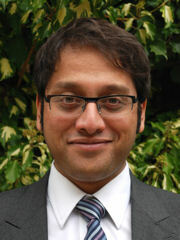 He has previously been a PACES tutor on the Queen Square Neurology PACES course. Dr Powell graduated from Birmingham University (MBChB with honours in Medicine), Imperial College (MSc, Immunology) and King’s College London (PhD, Immunology). He trained in Gastroenterology and Internal Medicine in North West Thames between 2005-2013. 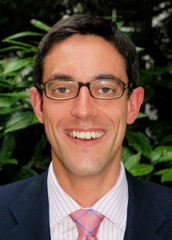 He is currently a Wellcome Trust Intermediate Clinical Fellow at King’s College London. His chief academic interests concern the regulation of mucosal immunity and the molecular mechanisms responsible for controlling intestinal inflammation. His major clinical interests are in inflammatory bowel disease, functional gastrointestinal disorders and eosinophilic inflammation. Dr Powell has been teaching PACES since 2005, where he cynically shares his gift of conveying competence in the face of incontrovertible evidence to the contrary! Consultant in Respiratory and General Medicine, Whipps Cross University Hospital, London. 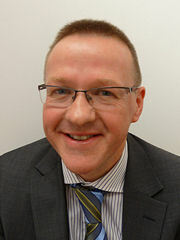 Dr Quantrill qualified from Manchester Medical School in 1989 and has been a consultant since 2001. He later obtained a Master´s Degree in Medical Education, studying whilst running a course for overseas doctors at The Royal Brompton Hospital, Imperial College. He was Director of Medical Education and Foundation Training Programme Director at Whipps Cross for 3 years, and is currently Training Programme Director for the North East Thames Respiratory Specialist Registrar Rotation. 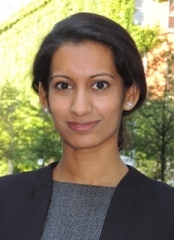 Dr Dipa Raja Rayan is an MRC-funded clinical research training fellow at the MRC Centre for Neuromuscular Disease at the National Hospital for Neurology and Neurosurgery at Queen Square. She won a scholarship at Cambridge University where she did her Bachelors degree in Neuroscience. She went on to qualify with a distinction in Clinical Medicine from University College London in 2005. She has extensive teaching experience at both undergraduate and postgraduate level for many years and is also an ALS instructor. Dr Richardson undertook his preclinical training at Downing College, Cambridge where he graduated with a double first class degree in medical sciences and pharmacology. He moved to Oxford University Clinical School where he was awarded the George Pickering prize for best overall performance in final examinations in 2005. Since then he has worked in Edinburgh and Oxford, before moving to University College London Hospital as an academic Haematology SpR. He is currently completing a Wellcome Trust research training fellowship at UCL where he has identified and investigated novel embryonic B-lymphoid progenitors that are likely targets for the in utero initiation of childhood ALL. 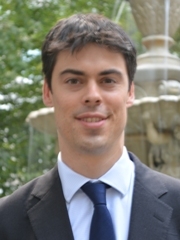 He has a longstanding interest in teaching including PACES teaching at Oxford and UCLH, medical student mentoring at UCLH and as a lecturer in clinical medicine at Brasenose College, Oxford. 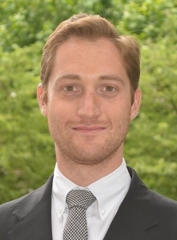 Dr. Rohrer studied at Cambridge, Oxford and University College London before his junior doctor training in London. He also has a PhD in the neuroimaging of dementia and has published over 90 papers in the field. He continues to work in dementia research at the UCL Institute of Neurology and is an honorary consultant neurologist at the National Hospital for Neurology and Neurosurgery. He has been teaching MRCP for over 10 years and is the lead author of "Neurology for MRCP" published by Imperial College Press. Consultant Neurologist, National Hospital for Neurology and Neurosurgery, Queen Square, London. Dr. Rugg-Gunn trained at Guys and St Thomas's Hospital Medical schools. 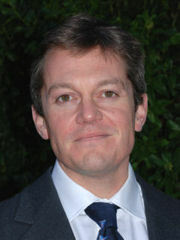 He undertook his Neurology training in Oxford and at the National Hospital for Neurology and Neurosurgery, Queen Square. 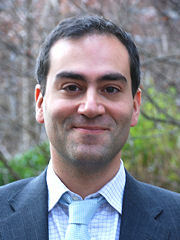 He was awarded a PhD for his research in Advanced MRI techniques in epilepsy, carried out at the Institute of Neurology, Queen Square, in 2002. 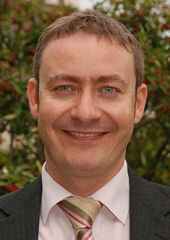 He became a Consultant Neurologist at Queen Square in 2006. He has been actively involved in MRCP Clinical teaching for 7 years. Dr Selvarajah qualified from New College, Oxford and University College London. She is a Respiratory Specialist Registrar in the London deanery. 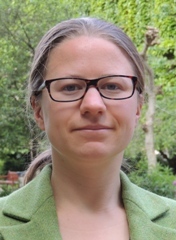 Her specialist research interest is Idiopathic Pulmonary Fibrosis and she is currently undertaking a Crick funded PhD fellowship at the Centre for Respiratory Research, UCL. Dr Shah graduated from Pembroke College, University of Cambridge. As an undergraduate he won college prizes for achieving first class results and a distinction in Final MB. He went onto complete the Academic Neuroscience Foundation program at Addenbrookes and core medical training as part of a NIHR Academic Clinical Fellowship at Guys and St Thomas's Hospital. Subsequently he became an Academic Cardiology registrar on the Imperial rotation at St Mary's and Hammersmith Hospitals. During his cardiology registrar training his interest in risk factor modification and health promotion increased, and he is now undertaking GP training in the London deanery to pursue this further. He has a keen interest in teaching which spans multiple specialties. He has been a clinical supervisor for Cambridge undergraduates and helped examine in undergraduate OSCEs at Cambridge and King's College London. He has regularly been involved in teaching SHOs preparing for the PACES exam. 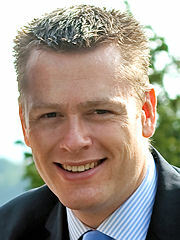 Dr Shaw graduated from the University of Glasgow in 2002. During her subsequent early postgraduate years she developed a keen interest in nephrology and epidemiology. While a Specialist Registrar in Renal Medicine on the South Thames rotation she became part of the first cohort of Darzi fellows, during which time she focused on quality improvement strategies in the NHS including opportunities in medical education. Having undertaken an MSc in Epidemiology and achieving her CCST she is currently undertaking a PhD in renal and cardiovascular epidemiology at the UK Renal Registry. She has a strong commitment to medical education having been involved in PACES teaching since 2005 in addition to involvement in educational projects in simulation and human factors. Dr Shiell graduated from Sheffield Medical School in 1994 and has worked in most medical specialities, including a six-month stint as a GP Registrar before finally discovering her passion for Renal Medicine. She is a Consultant Nephrologist at St Helier Hospital, South London and has a specialist interest in dialysis and CKD management. She is currently undertaking the Royal College of Physicians 'Physicians as Educators' course and has always enjoyed clinical teaching, seeing students develop skills and knowledge needed not only for the MRCP exam but also for their longer term future as doctors. Consultant Physician, Imperial College Healthcare NHS Trust, London. 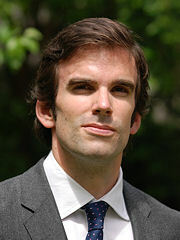 Dr Shipway trained as an undergraduate at Oxford, acquiring a MA in Physiological Sciences before graduating in Clinical Medicine in 2005 with the occasional prize. He subsequently trained in the Oxford Deanery and in London, both north and south of the river, qualifying as a Consultant Physician & Geriatrician in the summer of 2014. His sub-specialist area is geriatric surgical liaison, with a particular interest in comprehensive pre-operative assessment and medical optimisation of the frail, highly co-morbid patient undergoing surgery. Whilst at Imperial, he has developed a new service delivering this novel care to older patients undergoing gastro-intestinal surgery, and speaks internationally on the topic of frailty in older surgical patients. He teaches extensively for the MRCP and has examined on behalf of Imperial and King’s College Medical Schools. He is also an active acute medicine trainer for IMPACT, and sits on the Council of the Royal Society of Medicine Geriatrics and Gerontology section. Dr Smith graduated from University of Queensland, Australia, in 1992 since which time she has worked and travelled widely. She completed MRCP in London in 1996, followed by FRACP examinations in Australia in 2000. She has completed an MSc in Epidemiology of Infectious Diseases, and laboratory research interests include innate immunity of viral infections. After completing her SpR rotation in North Thames in G(I)M and Infectious Diseases, she was appointed to a Consultant post at the Royal Free Hospital in 1997. In her current post she plays an active role in the development of departmental teaching programmes and is committed to ensuring that junior doctor training programmes incorporate high quality teaching within the acute hospital setting. She has been teaching on Part 1, Part 2 and PACES courses across London for 8 years. 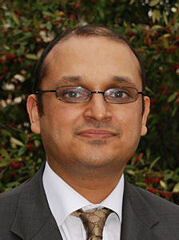 Dr Sohaib is a cardiology specialty registrar in the North West Thames Programme. He is currently undertaking a PhD investigating the physiological changes seen in biventricular pacing at the National Heart & Lung Institute at Imperial College London funded by a fellowship from the British Heart Foundation. He graduated from University College London with a First Class Honours BSc in Immunology and Cell Pathology and won a series of prizes during medical school including the Betuel Prize as runner up in the University of London MBBS Gold Medal Exam. He is committed to improving the quality of training, representing trainees at the Royal College of Physicians on the Specialist Advisory Committee for Cardiology. Dr Sohaib is secretary of the British Junior Cardiologists Association. He is a keen teacher with a strong record of mentoring his junior colleagues to success through their PACES examination. 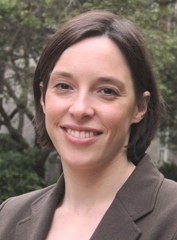 Dr Stacey is a Specialty Trainee in Diabetes & Endocrinology in South London. He attained MRCP, with the help of PassPACES, in 2010. He developed an interest in cardiovascular research as an undergraduate at the University of Nottingham and has since conducted research into the physiology and endocrinology of high altitude environments. He is presently investigating heat illness and thermotolerance in association with Imperial College. He has practised medicine in a number of countries, including Kenya, Nepal and Afghanistan, and holds the Diploma in Tropical Medicine and Hygiene from the London School. He is an instructor in Advanced Life Support and regularly teaches clinical students from a range of backgrounds, including HM Forces. 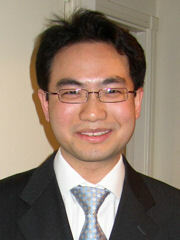 Dr Tan qualified from Barts and the Royal London Hospital and obtained First Class Honours for his intercalated B.Sc. in Tumour Biology from UCL. He commenced his medical training at St. Bartholomew's Hospital and subsequently Singapore General Hospital and Royal Marsden Hospital. He is a medical oncologist at National Cancer Centre Singapore with an interest in early phase oncology clinical trials and understanding mechanisms of drug resistance through genomics studies. He is an active MRCP tutor in Singapore. Dr David Tan trained at Guy’s and St Thomas’ Hospitals and graduated with a First Class Honours Intercalated BSc in Experimental Pathology and MBBS with Distinction in 2001. He trained in General Medicine at Hammersmith, Guy's and St Thomas' Hospitals and was awarded a Cancer Research UK Clinical Research Fellowship for his PhD at the Institute of Cancer Research in 2005. He is currently a Specialist Registrar in Medical Oncology at the Royal Marsden Hospital with clinical and research interests in breast and gynaecological cancer. He has a strong commitment to clinical teaching and has been involved in tutoring candidates for the PACES exam since 2005. Dr Taylor graduated from the Universities of St.Andrews and Manchester. He worked in Edinburgh before commencing training in Diabetes and Endocrinology in the Severn Deanery. His main medical interests are Graves Disease, Hypothyroidism, Thyroid Cancer and managing hyperglycaemia in sepsis. He has carried out research into the prognostic role of Thyroid receptor antibody response to treatment in Graves Disease and is currently undertaking a PhD in combined T3 T4 therapy in hypothyroidism and effect on depression. Specialist Registrar in Radiology, Guys and St Thomas' University Hospital, London. Dr. Thomas qualified from St Bartholomew's and The Royal London School of Medicine in 2003 and completed a general medical rotation with membership to the Royal College of Physicians (MRCP(Lond)) in 2006. Leaving a medical registrar position in 2007 he joined Guys and St Thomas' University Hospital as a specialist registrar in Radiology. He became a fellow of the Royal College of Radiology (FRCR) in 2010. 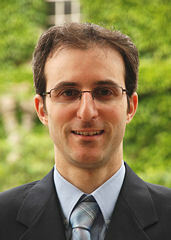 Working as a general radiologist he has a special interest in oncological interventional radiology. He has a strong interest in academic medicine and medical education. 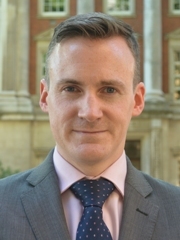 Dr Thompson currently works as a clinical fellow in neurology at the Nuffield Department of Clinical Neurosciences, University of Oxford, researching motor neuron disease, and honorary specialist registrar in neurology at the John Radcliffe Hospital. He graduated medicine at the University of Oxford with distinction in 2007. He is passionate about teaching, with experience ranging from small group bedside teaching for undergraduate students to lecturing for large audiences. He has twice been nominated “teacher of the month” in the University of Oxford medical school. 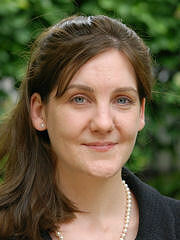 Dr Thorne qualified from the University of Birmingham, where her MBChB was awarded with Honours and two distinctions. She also won the Arthritis Research Council medical student prize. 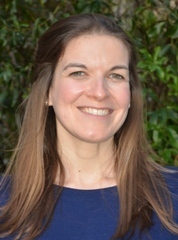 After the Academic Foundation Programme, Dr Thorne moved to London where she is a registrar in both Rheumatology and General (Internal) Medicine in North-West London. She passed MRCP at first attempt after attending the PassPACES course. She regularly teaches medical students and PACES candidates, and her feedback is consistently rated highly. She is delighted to have returned as a lecturer. 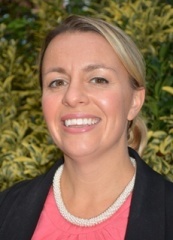 Dr Veighey graduated from Queen's University Belfast in 2004, having been awarded a distinction in each exam, including a distinction in the clinical finals. Following this she moved to Wessex Deanery, prior to joining the North Thames rotation in Renal Medicine in 2008. In 2010 she obtained a post as a Clinical Research Fellow at the UCL Centre for Nephrology and Centre for Clinical Pharmacology and Therapeutics. She is currently completing a PhD at UCL, and has been an integral part in the running of a multinational clinical trial. 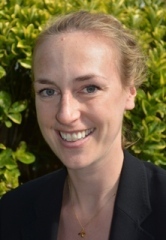 Her research interests include ischaemic preconditioning and vitamin D.
Dr Veighey has been involved in teaching for PACES both in London and Wessex, and considers it a privilege to lecture on the PassPACES course. 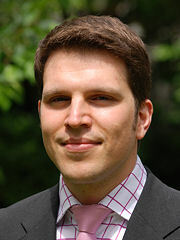 Dr Johan Waktare graduated from Manchester Medical School and carried out his SpR Training in Cardiology in Exeter, St George's Hospital London and University Hospital Birmingham. 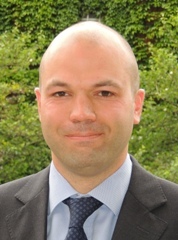 He is Consultant Cardiologist and Cardiac Electrophysiologist at Liverpool Heart and Chest Hospital, where he is clinical lead for the Electrophysiology Service. He has a strong commitment to Clinical Education, having taught on multiple courses to all grades of doctor, and has published a book, 6 book chapters, and numerous original and review articles. Dr Whitaker is a Biomedical Research Council funded clinical research training fellow working towards a PhD at King’s College London. He has completed his general cardiology training having worked as a specialty trainee in London and East Kent and his research is focused on atrial fibrillation. Dr Whitaker graduated from Oxford University clinical school after completing pre clinical studies at Cambridge University. He was awarded a number of prizes during his studies for outstanding performance in examinations and as a junior doctor was awarded a national prize by the Institute of Medical Ethics. Subsequent to graduating he has worked in the Severn Deanery and the London Deanery during his Core Medical and General Cardiology Training. He is committed to teaching being an Advanced Life Support Instructor alongside his work on the PassPACES course, tutoring on the first year physiology course for medical undergraduates in Bristol and having been involved in clinical teaching at each stage of training. 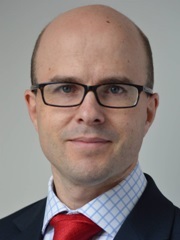 Dr. Williams is an Academic Cardiology Registrar within the London Deanery, with a research interest in coronary physiology and cardiac MRI perfusion. He has been awarded a research grant for a 3 year PhD by the British Heart Foundation. His research interest principally stemmed from a successful Intercalated BSc in Cardiovascular Physiology at University College London, where he graduated with a First Class Honours. He studied medicine at St. George’s University of London, graduating with a distinction in clinical finals. 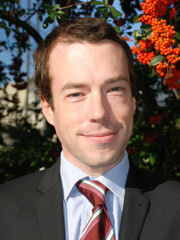 He has a very keen interest in clinical teaching, and has taught and examined many undergraduates in OSCE examinations. He also arranges regular PACES teaching for SHOs at various hospitals within the London Deanery. He qualified from Liverpool Medical School in 2004. He completed core medical training in Liverpool and Newcastle before going on to specialist training in Infectious Diseases in Manchester. Dr Wingfield has lived and worked in sub-Saharan Africa (Uganda, Botswana, and Malawi) and, for the last three years, in Peru where he worked with Dr Carlton Evan's team (www.ifhad.org) on a PhD aiming to combat tuberculosis in north Lima's shantytowns through a novel socioeconomic intervention. Since 2009, he has worked annually in another challenging and resource-constrained setting: a muddy, medical tent at Glastonbury festival. He is an enthusiastic teacher in various settings, whether it be as an ALS instructor in UK hospitals or a health promotion lecturer on a medical boat on the Amazon river. He considers it a great privilege to be able to teach on a course that was vital in helping him to get through PACES himself. MRC Clinical Research Fellow, University College London and at the Royal Brompton Hospitals, London. 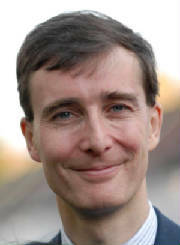 Dr Woodcock graduated from Cambridge University. 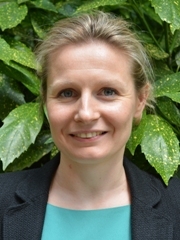 She is a Respiratory Specialist Registrar in the London deanery, and is currently an MRC funded PhD research fellow at the Centre for Respiratory Research, UCL and at the Royal Brompton Hospital. Her field of interest is the pathophysiology and treatment of idiopathic pulmonary fibrosis. 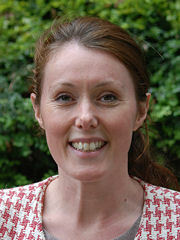 Dr Woodcock attended the PassPACES course as a candidate and has a keen interest in clinical teaching. He is committed to clinical teaching, and has been teaching on MRCP courses since 2006.